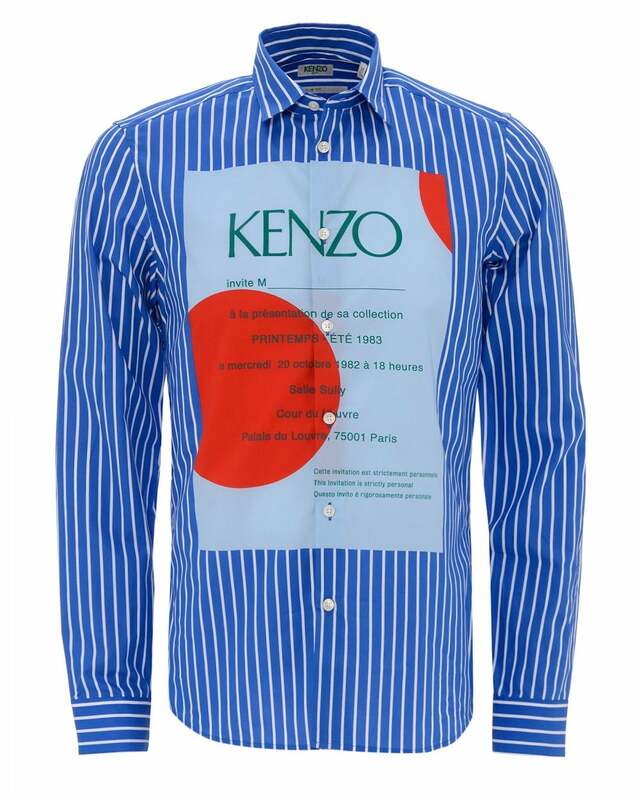 Transforming any look, this shirt from Kenzo is anything but conventional. A classic collar slim fit, this shirt is cut close to the body but can also be worn with a t-shirt underneath. With an invitation card themed print, people are sure to turn their heads whether you style it with a suit or with jeans and trainers.